Follow RNSC MASTERS on Facebook! Ruislip Northwood Masters Swimming Club is for adult swimmers who wish to continue swimming in a competitive environment. The club was established in 1989 with the first training session coached by Ron Gilder. RNSC Masters offers more than just training: we would like to think of ourselves as not only team members but friends which hopefully makes turning up about more than just the training. We hold regular social events to encourage everyone to get together, get to know each other and enjoy themselves. RNSC Masters hold four training sessions a week at two different pools in Bushey and Northwood. We are open to new members and you are welcome to "come and try it" at up to three of our sessions free of charge. Please contact us to find out more. Newmarket 6th Masters Meet will be held on Sunday 28 April 2019 in Newmarket, Suffolk. Closing date for entries: 18 April 2019. 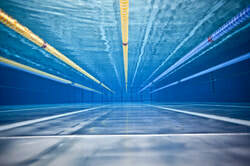 Norfolk Masters Long Course Open will be held on Saturday 11 May 2019 at the UEA Sportspark, Norwich. Closing date for entries: 19 April 2019. Barnet Copthall Masters Distance Meet will take place on 6 & 7 July at Barnet Copthall pools, Champions Way, Hendon. Closing date for entries: Friday 21 June 2019. Please see the Fixtures Officer's email or the events calendar at www.swimming.org for links to entry packs, further details, etc, for any of the above meets. Please also let them know if you are happy to swim as part of a relay team. Next Committee Meeting: Sunday 28th April 2019. Please let your lane leader or any member of the Committee have any items that you would like to be raised on your behalf. It will be RNSC Masters 30th Anniversary in 2019. Ideas to the Club Secretary please. Beer & curry night on 27 April 2019 - see Mark B or Mike W for details. Further details on all of the above events have been circulated via email; however, if you have not received them, please advise your lane leader. Please also let your lane leader know if you have any ideas for social events/Club outings.